Happy Friday! I can’t believe this week is almost over; it flew by so fast! I’ve been enjoying my spring break and plan to continue doing so for the last two days. 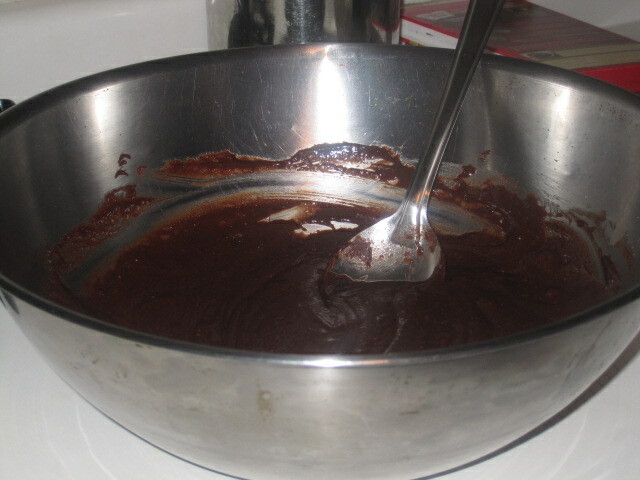 brownie mix after it was, well....mixed! 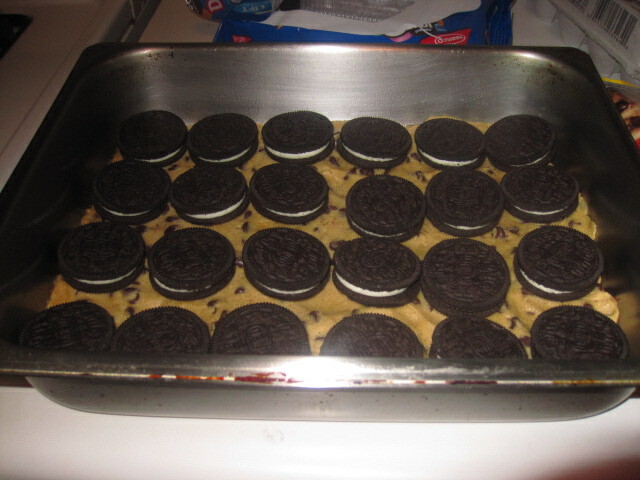 You just spread the cookie dough to cover the baking pan, then add on a layer of Oreos! 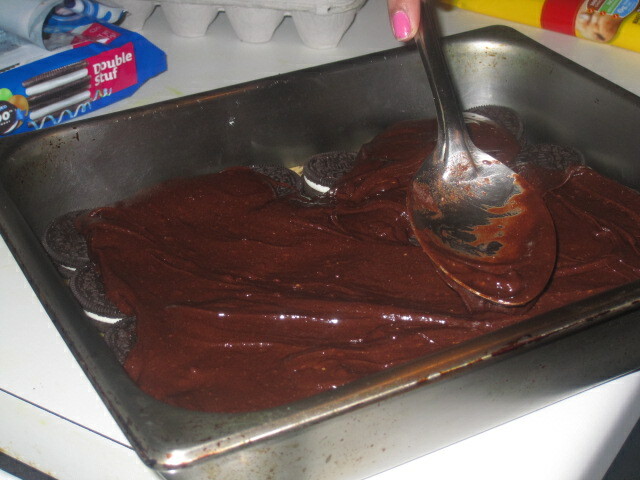 I totally forgot to take a picture of the finished brownies! I am so sorry! I was just too infatuated by the wonderfulness & awesomeness of them. ^__^ Just head onto The Londoner to see the best dessert for breaking a diet! My three friends each had one serving, while I had two (I couldn’t resist) and we were able to still divide the remaining brownies between us (by around 2 each). We ate these little dreams before watching the season finale of Pretty Little Liars, and let me tell you…thank God we did! Eating them calmed me down before I flipped out over who A turned out to be…. (but honestly, I wasn’t that surprised).